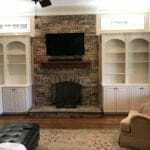 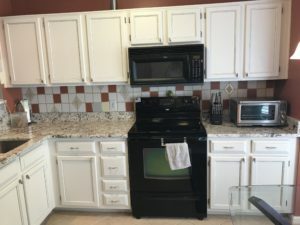 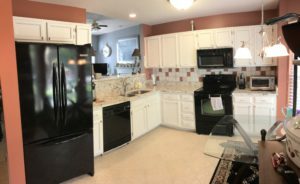 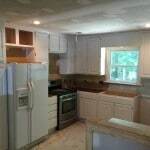 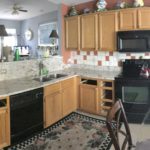 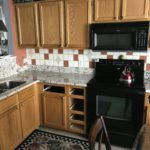 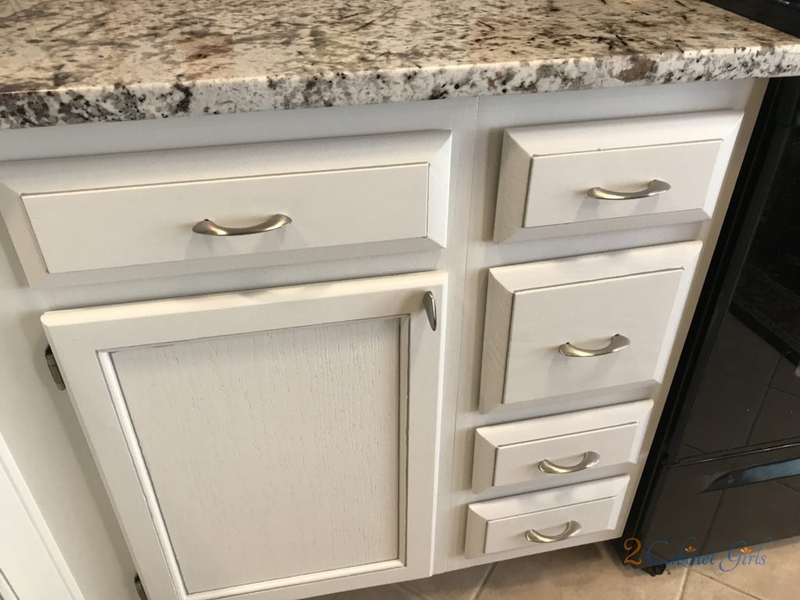 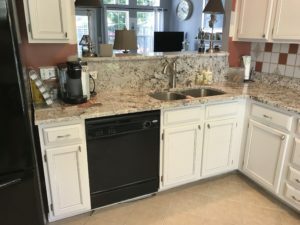 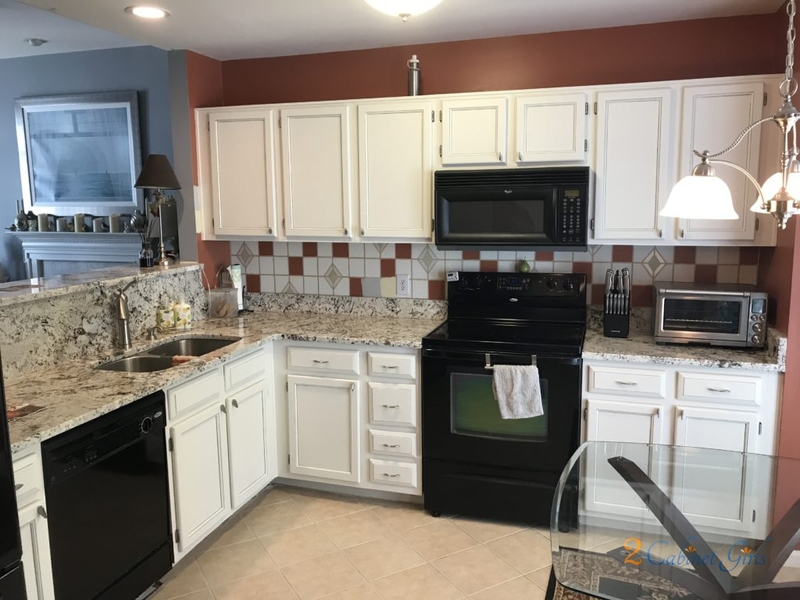 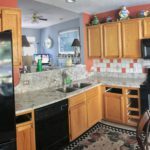 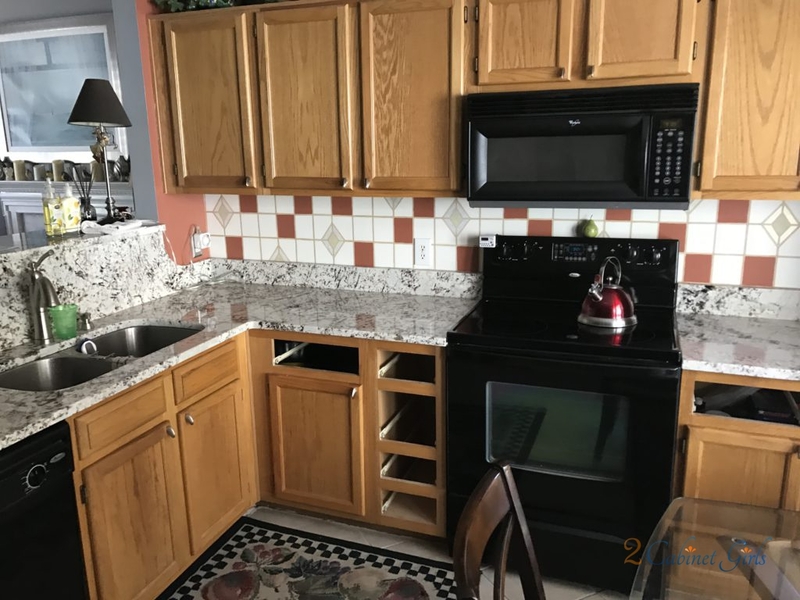 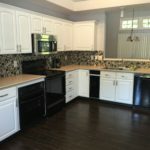 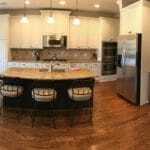 What a huge change a little paint on your kitchen cabinets can make. 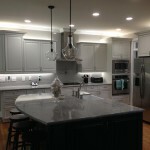 We used a beautiful creamy white paint, called Dove Wing to brighten things up in this kitchen. 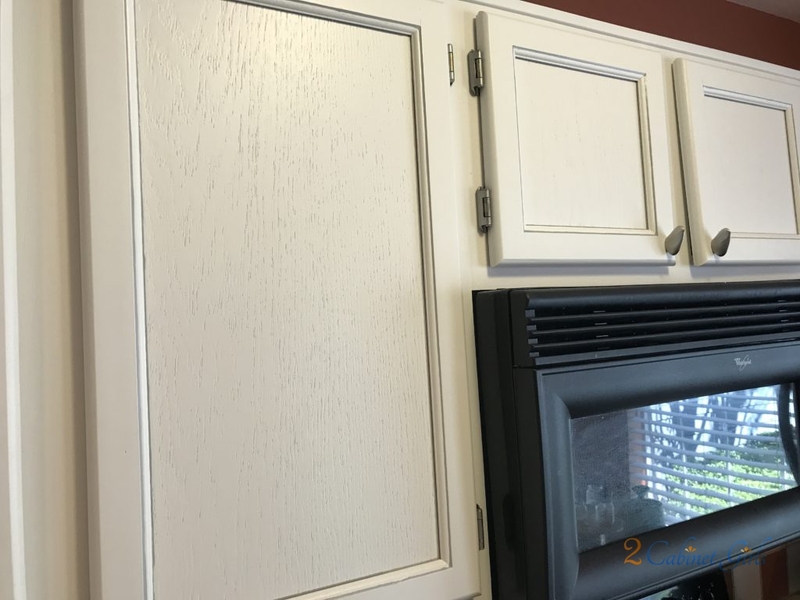 Adding a Pewter pinstripe glaze helped give the doors a bit of definition. 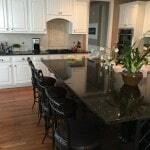 This white is the perfect compliment to the granite.